Allergies Can Make Life Miserable. A Filtration System Can Make Your Home a Safe Haven. Believe it or not, the quality of indoor air is typically much worse than that outdoors. Since most people spend a significant amount of time inside their homes, it makes sense to have a strategy for cleaner air. A whole house air filtration system allows for cleaner, healthier air in every room of your home. At Mission Critical Comfort Solutions, we sell, install, and service a broad range of whole house air filtration systems. A whole house air filtration system captures and removes pollutants and microorganisms from your breathable air. Some of these pollutants, such as mold and dust mites, originate in your home. 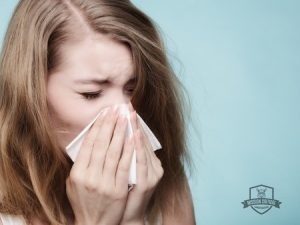 Others, such as pollen and dirt, make their way inside from the outdoors. Regardless, to permanently address issues of air quality, a whole house filtration system represents the ideal answer. Call us today at 478-960-5825 to inquire about installation or service of a whole house air filtration system in Bonaire and Warner Robins, GA. If you remain unsure about whether to invest in a whole house air filtration system, take the time to consider all of its benefits. Air Filtration Systems Can Preserve Your HVAC From the Consequences of Dirty Air. Cleaner Air: Whole house filtration systems are designed to remove 99.9 percent of all airborne particles. This includes dirt, microorganisms, mold and fungus spores, allergens, and pet dander. If you have seasonal allergies, asthma, or live in a home with multiple pets, air purifiers can become a necessity. Complete Coverage: A standalone air purifier will only clean the air in one or two rooms. A whole house system ensures that all the air in your home receives the benefit of filtration. As opposed to multiple smaller units, a whole house system can represent a much more cost-effective investment. HVAC Preservation: Whole house air filtration systems integrate cleanly into your HVAC. Through the removal of dirt and debris, they also extend the life of the HVAC. As HVAC components become coated with dust, the system works harder and wears out sooner. Mission Critical Comfort Solutions is your one-stop source for sales, installation, and service of a whole house air filtration system in Bonaire and Warner Robins, GA. To schedule work or learn more about these remarkable devices, give us a call today at 478-960-5825. Updated on September 20, 2018 at 4:05 pm by Mission Critical Comfort Solutions.